Global energy demand will grow by 30 per cent between 2015 and 2040, according to the International Energy Agency (IEA). Following the shale revolution, natural gas has the potential to meet this surge in energy demand. In 2017, the US became a net exporter for the first time in 60 years, and other countries are following suit. China is aiming for natural gas to account for 10 per cent of its energy mix in the next few years. To transport increasing volumes of natural gas, operators are cooling gas to a liquid state – shrinking its volume by up to 600 times. While effective on land, cooling gas to Liquefied Natural Gas (LNG) is more complicated at sea, where operators must use floating liquefied natural gas (FLNG) facilities. 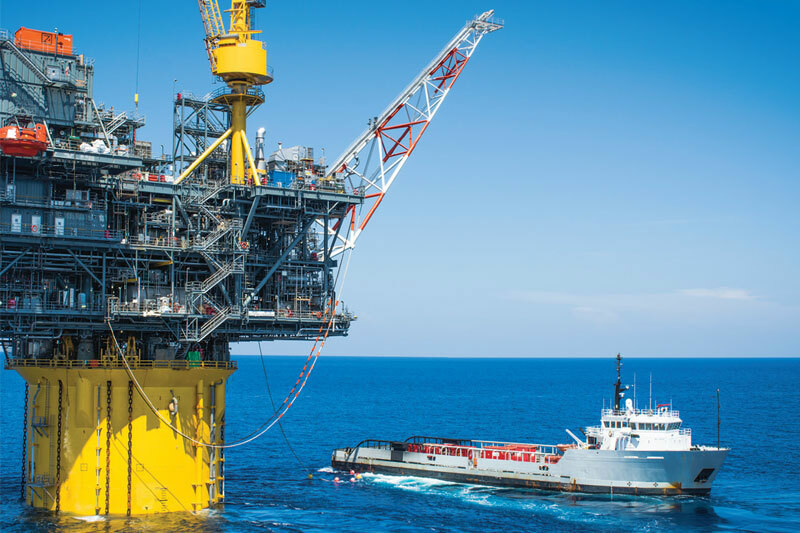 Moored directly above a natural gas field, FLNG vessels route gas from the field to the facility via risers. From there, purified natural gas is cooled and stored in the hull. LNG is transferred directly from the floating facility to specific carriers, allowing for convenient shipping to countries across the globe. The advanced design of an FLNG facility packs a typical land-based LNG plant into a fraction of its normal size. Today, FLNGs are going into operation across the globe. Prelude – developed by Shell – is the world’s first FLNG development. It is a half a kilometre in length and weighs a quarter of a million tonnes – the world’s largest FLNG platform and the largest offshore facility ever constructed. Yet it was the world’s second FLNG project that was the first to begin LNG production. Weighing more than 100,000 tonnes when fully laden, the PFLNG1 produced and delivered LNG from the Kanowit field in Malaysian waters as early as April 2017. FLNG projects like PFLNG1 will become increasingly common as operators work to meet the natural gas demands of the future – in 2020 the first FLNG vessels is set to begin LNG production in Africa. FLNG facilities need to release gas safely while producing LNG. Excess natural gas is flared to avoid sudden increases in pressure and ensure safe plant start-ups and shut-downs. While essential to safety aboard FLNGs, flaring needs to be measured to comply with safety regulations and government emissions standards. The FGM 160 Flare Gas Meter delivers cost saving and regulatory compliance benefits to the LNG industry. It enables accurate measurement at extended high and low temperatures, in large pipe diameters and with high levels of CO2 or hydrogen. Using ultrasonic technology and patented measurement techniques, Fluenta is recognised globally for our accuracy and reliability.